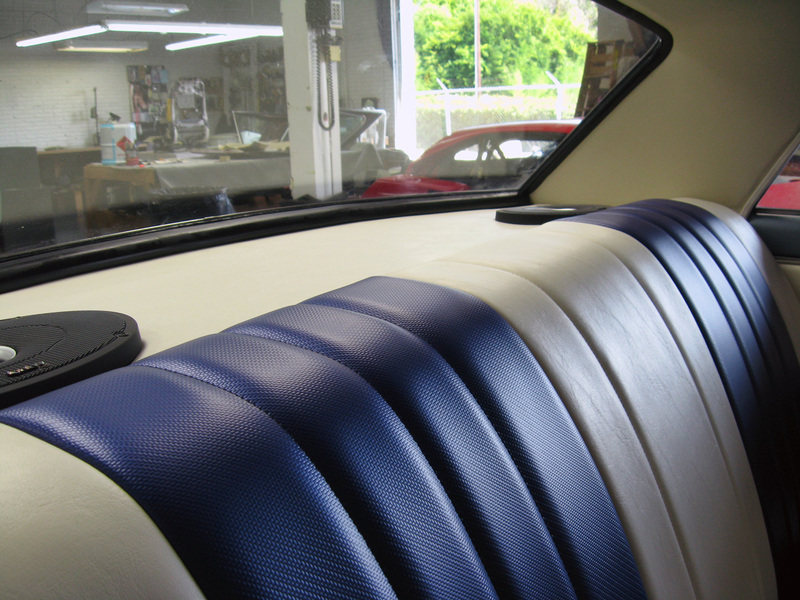 On this project we replaced the extremely worn out original interior with all new materials. 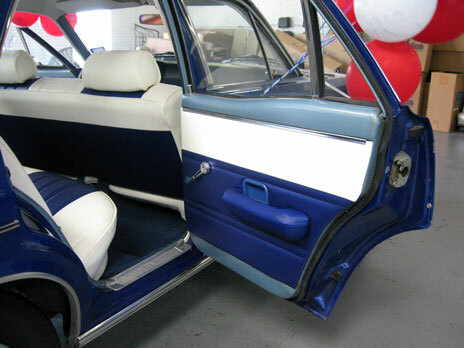 From the factory the interior was all light blue, and from so many years of wear and tear, the seats were sagging and looked like they were covered in a blanket. 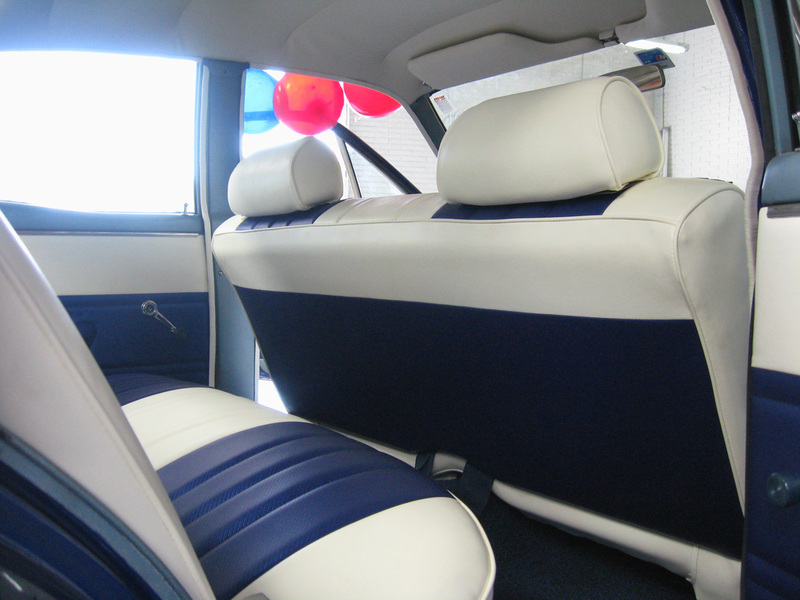 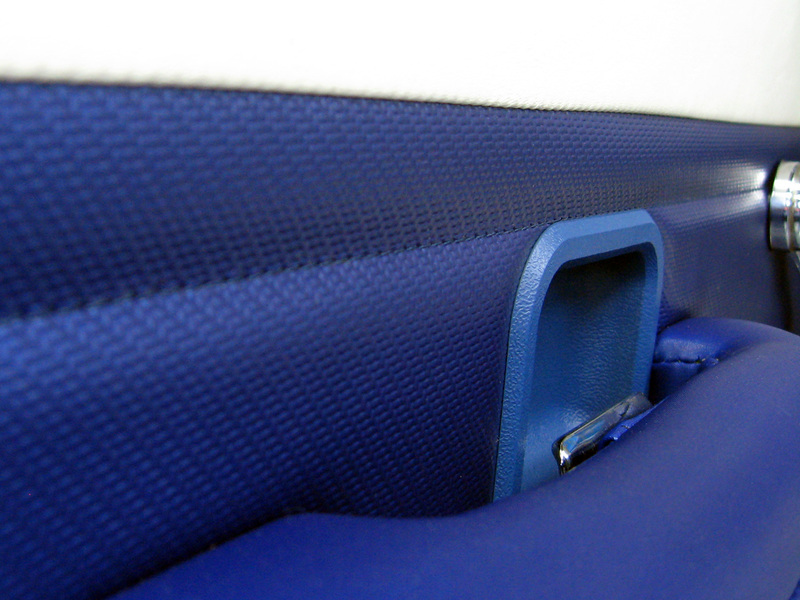 The seats are now covered in a unique woven blue vinyl and soft white vinyl. To match the exterior paint, we used darker blue materials. 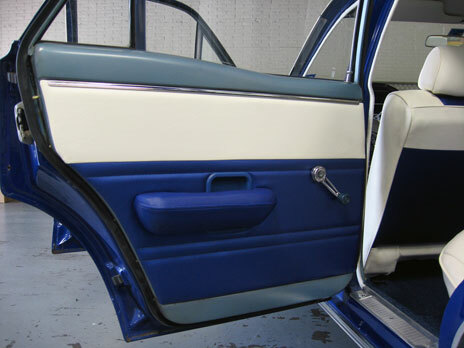 The door panel boards were remade and redesigned and the package tray behind the rear seats was redesigned along with adding new speaker grills. 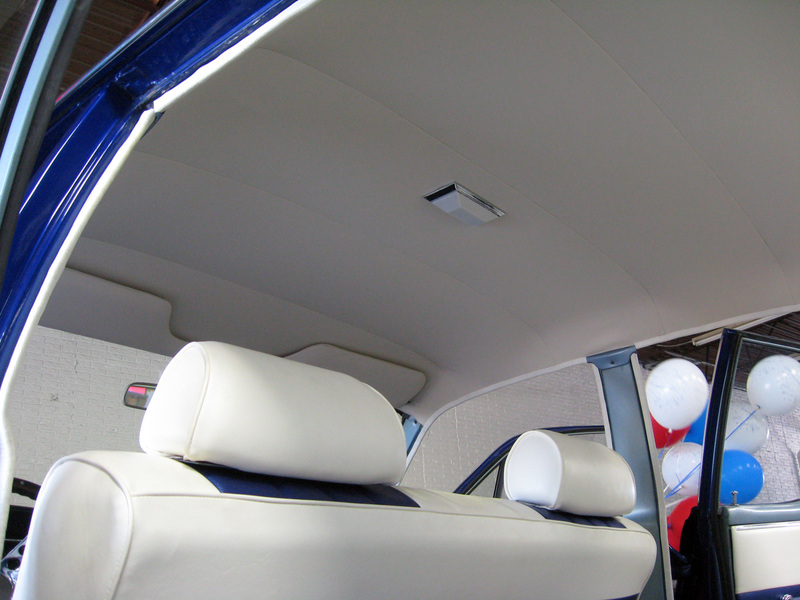 New carpet was installed, the dash was removed and repainted, and the headliner and sun visors were changed from blue to white. We also installed a Kenwood stereo and 4 Pioneer speakers. 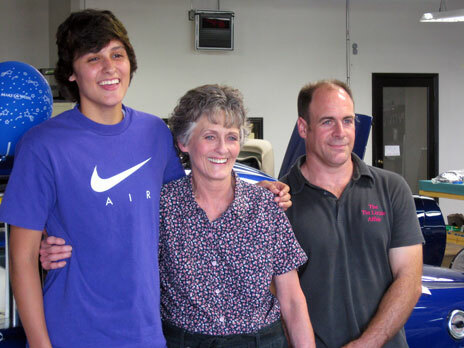 In January 2011, Micaela at age 17 had been diagnosed with a life-threatening medical condition. In April, she was referred to the Make-A-Wish Foundation of North Texas. 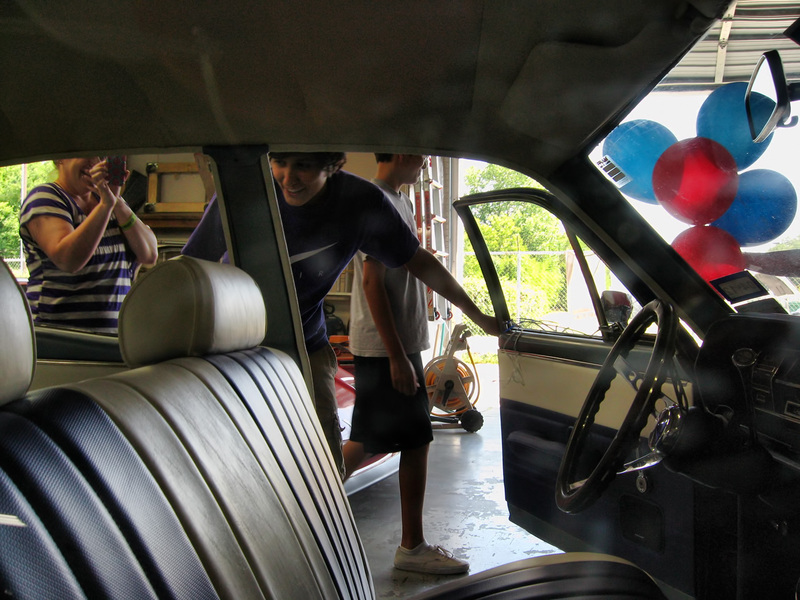 Representatives from the Foundation met with her and her family in May to discuss what exactly she wanted for her wish. 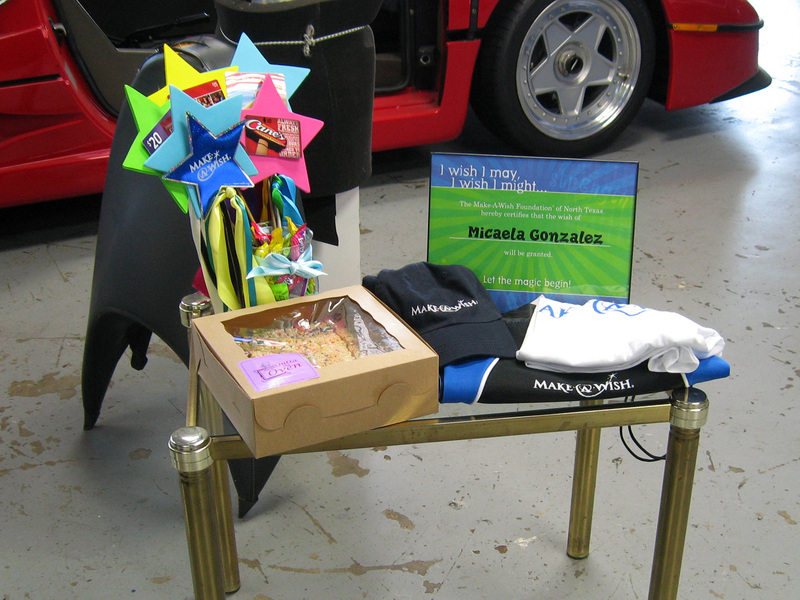 Micaela could have picked anything! From a trip to an exotic destination... to meeting her favorite celebrity... to just about anything. 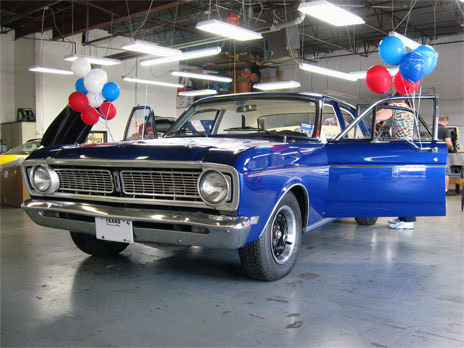 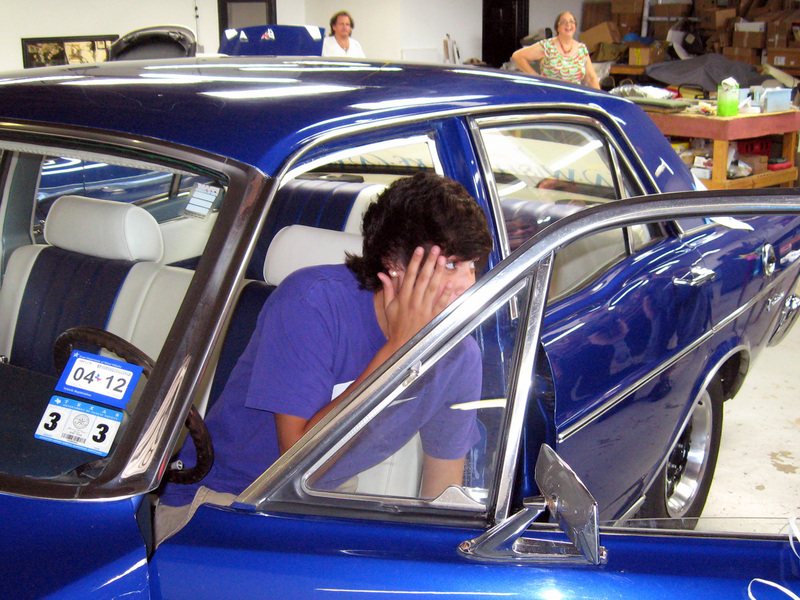 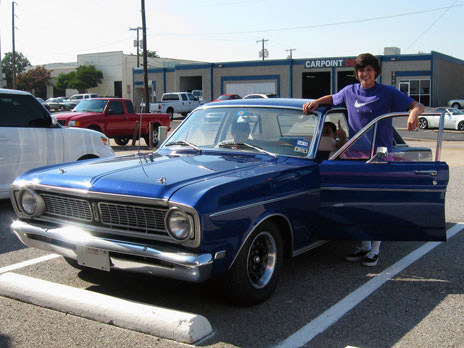 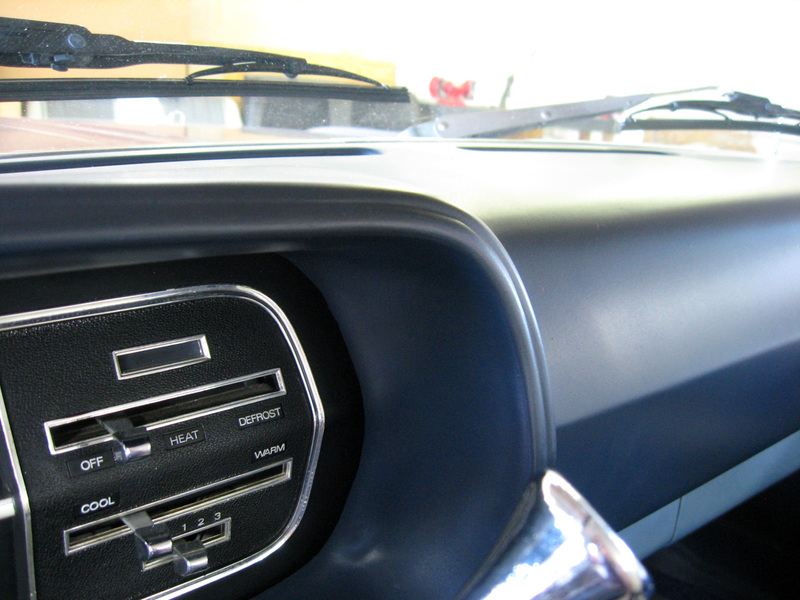 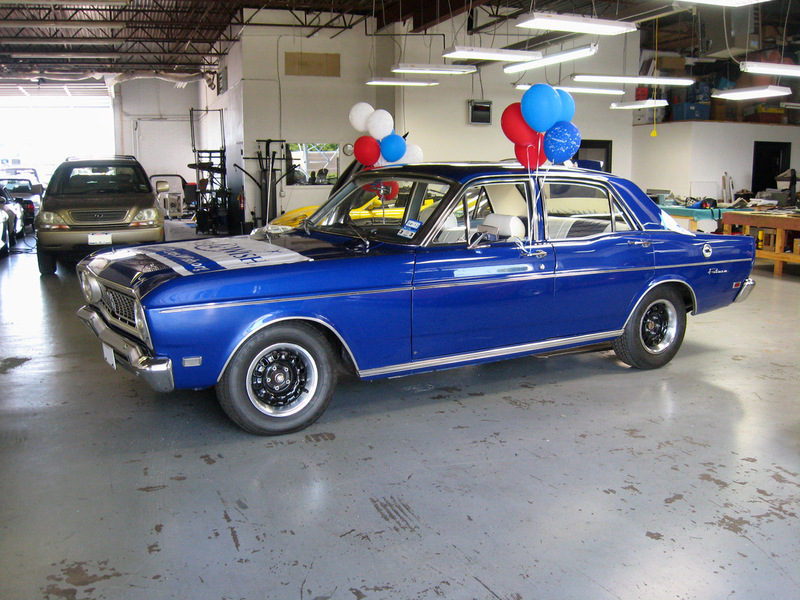 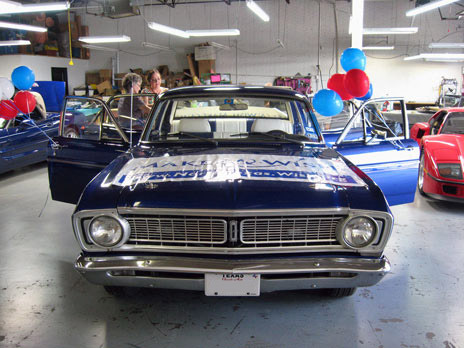 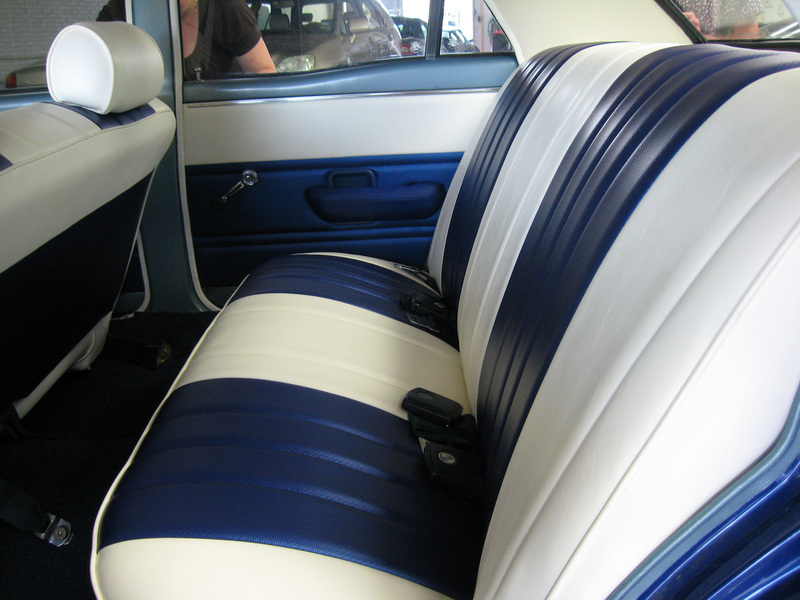 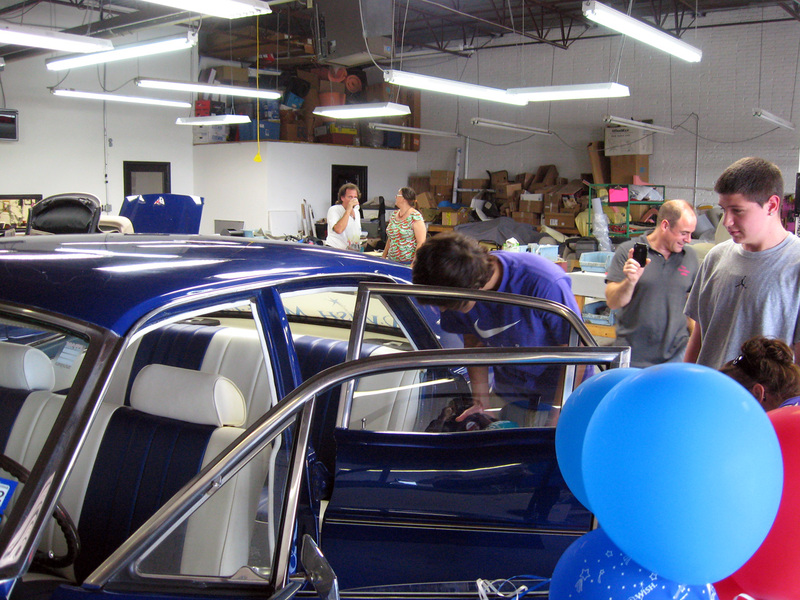 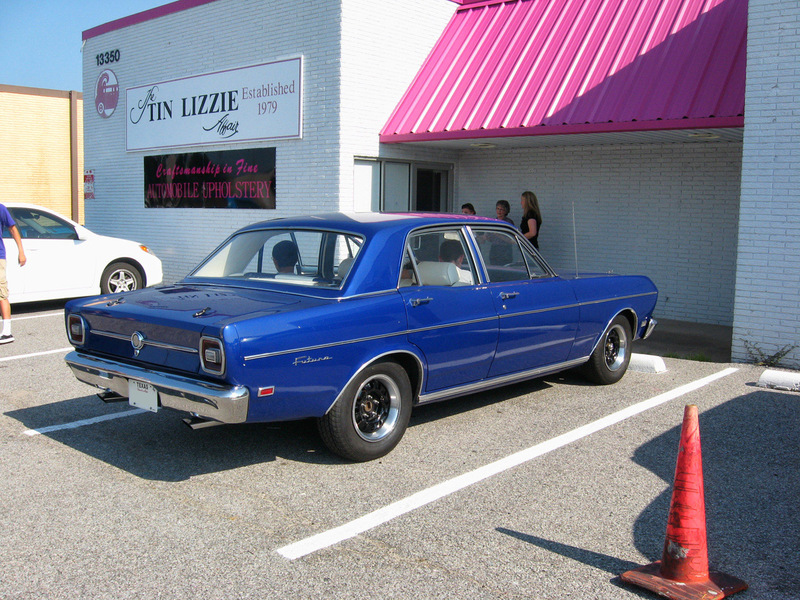 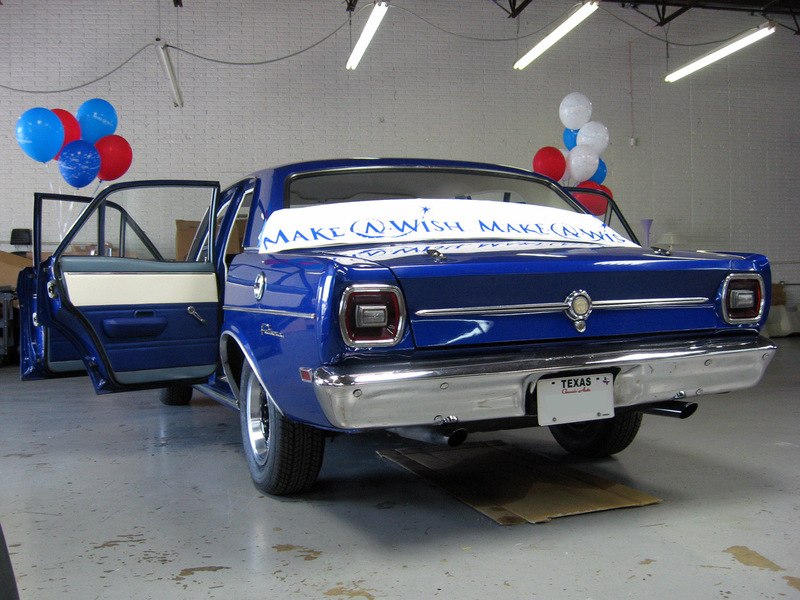 What Micaela wanted the most was to have her 1969 Ford Falcon Futura refurbished! Micaela and her family met Lucinda at a car show later that summer and thought that the Tin Lizzie Affair would be the perfect shop to help fulfill Micaela's one, true wish. 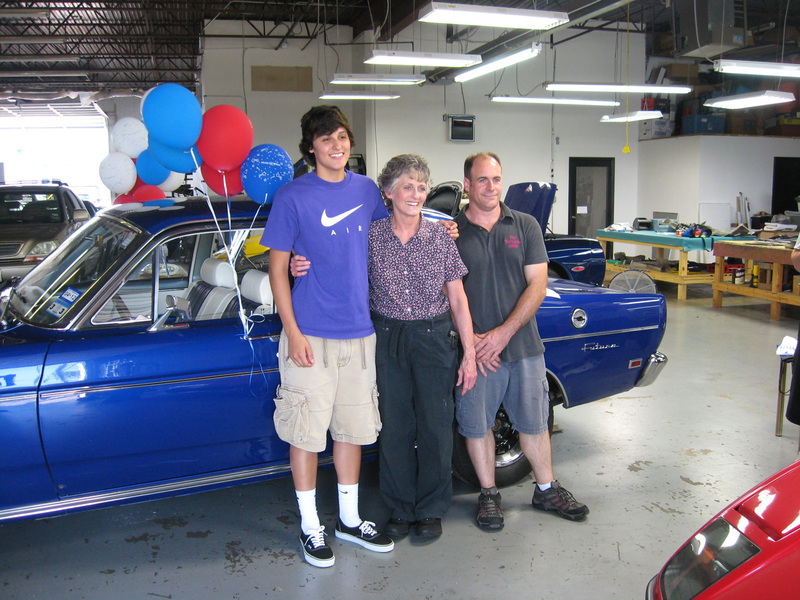 With a lot of research and work by Lucinda and her staff, Micaela received her "new" car on June 28, 2012. 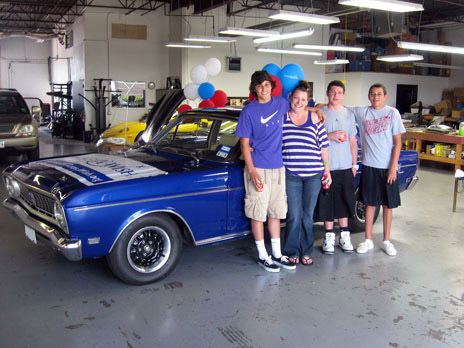 Micaela is now in remission, playing basketball at an elite level and spending time in her classic car every chance she gets.